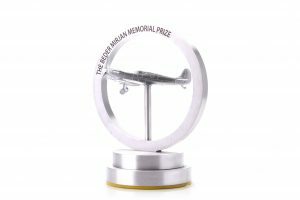 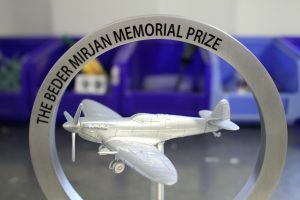 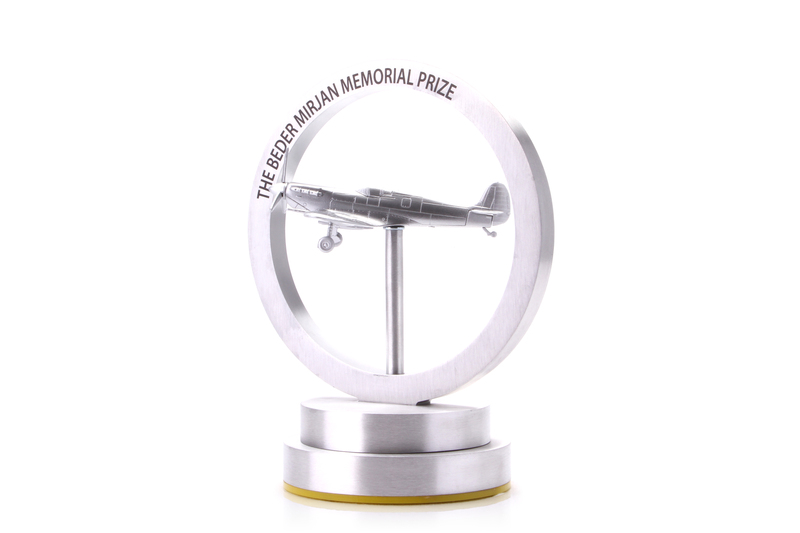 This custom award features a real model plane, sitting in the centre of a brushed aluminium halo. We use UV-printing technology for a crisp and clear print of the award title, which then dries instantly. 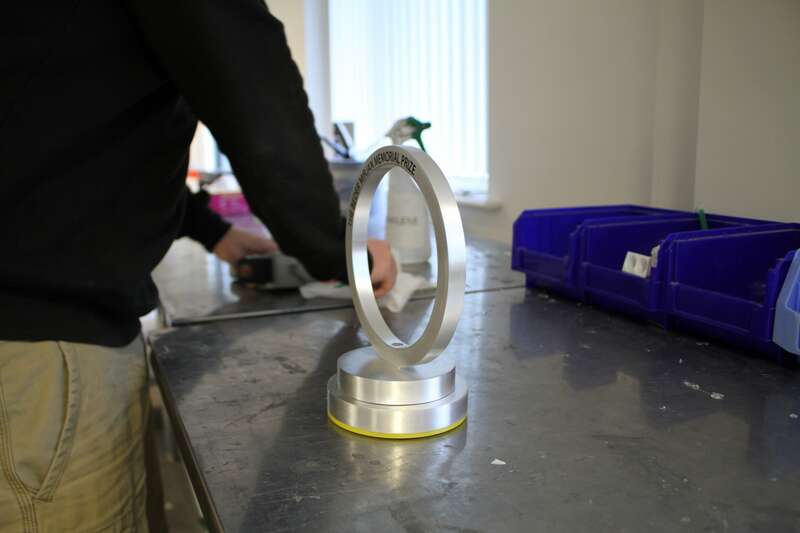 The tiered base also has a brushed finish, achieved at our in-house polishing facilitiy. 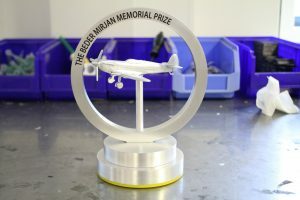 In addition, the base features yellow acrylic, for a pop of colour and a final personal touch.